Sketchfab Community Blog - Paint your Easter Eggs in 3D and Win a Full Color 3D Print by Shapeways! Paint your Easter Eggs in 3D and Win a Full Color 3D Print by Shapeways! Our yearly Easter Eggs Painting challenge is turning into a proper tradition! For the third time we’re inviting you to put down your high-end 3D tools for a bit and have some fun decorating digital eggs. And once again Shapeways is generous enough to send a dozen winners (we’re talking eggs, after all) a gorgeous 3D printed version of their work, made with their new Coated Full Color Sandstone. Curious what they’ll look like? Check out these pictures from last year’s winners. You don’t need to be an experienced 3D designer to enter this contest – just visit our Egg Painter, paint on the egg with your mouse and save the model to your Sketchfab account. That’s all! And you can enter as many times as you like (which is better than with real eggs – you have to eat all those, eventually). Visit our Egg Painter. Use your left mouse button to paint on the egg, and click and hold your right mouse button to look around your egg and reach other parts. While painting, you can select different brush sizes and colors with the Radius, Intensity and Color options. When your egg is ready, click the ‘Publish to Sketchfab’ button and log in to your Sketchfab account (you can create one at this point too). It will automatically be tagged with #Easter2016. Get your model in before Wednesday March 30th 2016 at 11:59pm GMT. Prize: Coated Full Color Sandstone 3D Print by Shapeways, delivered to your home. Eligibility. This contest is operated by Sketchfab. It is open to Sketchfab users worldwide over 13 years of age at the time of entry who live in a jurisdiction that does not prohibit this contest. Employees, officers, and directors of Sketchfab or Shapeways and their immediate family are not eligible to enter. Individuals may enter more than one entry into the competition. No purchase necessary. By entering this contest, you agree to be bound by these Rules. Eligible countries. Entries are limited to residents of Australia, Austria, Belgium, Canada (excluding Quebec), Denmark,France, Germany, Hong Kong S.A.R, Japan, Mexico, Netherlands, Norway, Portugal, Romania, Russia, Spain, Sweden Turkey, United Kingdom and United States of America. Sketchfab reserves the right to verify eligibility after picking the winners. Prize. The winning entrants will receive a 3D printed egg from Shapeways, with maximum value of US$50. No alternative prizes available. Contest period. This contest is open on Monday, March 21st, 2016 from 10:00am GMT and closes Wednesday March 30th 2016 at 11:59pm GMT. How to Enter. Use the Egg Painter app and color your egg. No other software allowed. Pick a title, and upload to Sketchfab with the hashtag #Easter2016. Winner Selection. Sketchfab will select the winner from the pool of entries on Wednesday March 30th, 2016. There can be up to 12 winners. Sketchfab will be prepared to award the prize to a runner-up in the event the winners cannot be contacted in a reasonable amount of time. Sketchfab will determine the winner with a qualified panel of judges. Sketchfab reserves the right to verify eligibility after picking the winners. The promoters decision is final – in case of dispute, no correspondence will be entered into. Winning entries may be documented and may be used for promotional purposes. (excluding any Russian winners). Judges are artists from Sketchfab and Shapeways (Bart, Natalia, Andrew and Kat) Eggs will be judged on their creativity, artist meric and technical proficiency. All entries have equal chance of being one of the 12 winning entries. Winner notification. The winner will be notified via email. Upon contact, Sketchfab may need to obtain confirmation of the winner’s eligibility. 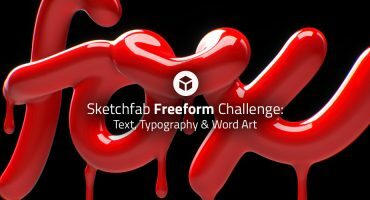 If Sketchfab cannot contact the winner through the contact information in their Sketchfab account in a reasonable amount of time, a runner-up will receive the prize. Liability and Jurisdiction. All federal, state, and local laws and regulations apply; void where prohibited. All international laws apply; void where prohibited. All disputes arising out of or connected with this Contest will be resolved exclusively by a court located in Manhattan, New York, USA. Decisions by Sketchfab regarding the interpretation of these rules are final. By participating in this contest, you agree to release Sketchfab and its agents from any and all liability, claims, or actions of any kind of injuries, damages, or losses to persons and property which may be sustained in connection with the receipt, ownership, possession, use, or misuse of any prize. Sketchfab reserves the right to amend these official rules and to permanently disqualify from this contest any person it believes has intentionally violated these official rules. Sketchfab reserves the right to suspend or cancel this Contest in the event of hacking, security breach, fraud, viruses, or other tampering and reserve the right to terminate or modify the contest. Taxes. The winner will be solely responsible for paying all federal, state, and local taxes that may be due on winnings and, as a condition of receiving the prize, Sketchfab may require the winner to complete tax documentation. Any questions regarding this contest should be directed to community@sketchfab.com. Unity Community Art Challenge: the December winners and the new theme!